Planning for a summer holiday is really exciting. All that anticipation, checking out guide books and monitoring the weather is all part of the fun. Packing your suitcase is not always quite so fun. Will you have the right clothes? Will your suitcase weigh too much? Will you run out of clothes? There are so many questions. 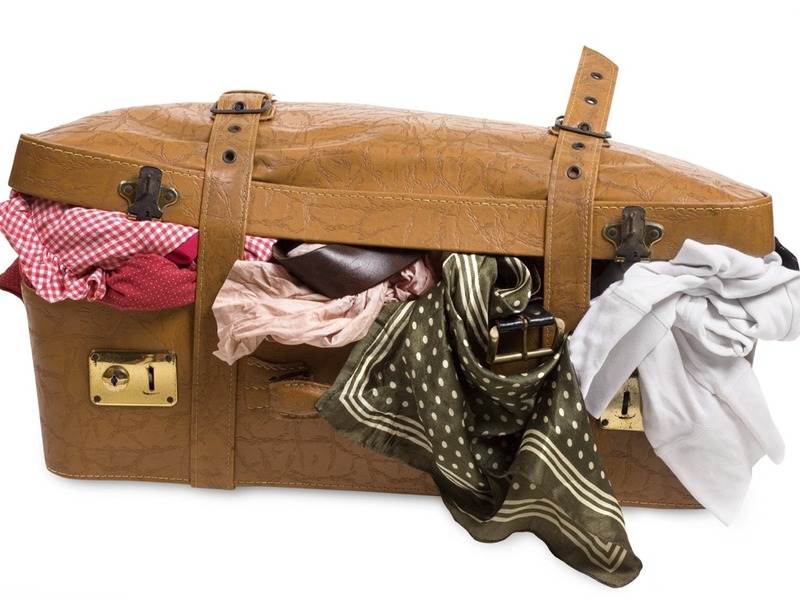 Most of us err on the side of caution and pack way too much, finding that, by the end of our holiday, we’ve only worn half of the pieces we took. This summer there are a few key items that are versatile and flattering for any figure that will form a great start for your summer holiday wardrobe. They’re high on the fashion agenda this year, cropped trousers are the ideal partner for your summer holiday. Dress them up or down but they’ll never let you down! For a relaxed daytime look ideal for sightseeing, pair them with a simple jersey T-shirt and flats or flip flops. If there’s a chill in the air they look just as good with a simple fleece thrown on over the top. Cropped trousers are just as at home for evenings on holiday too. Swap your flip flops for something with sparkle and add a glamorous going out top, such as a floaty, chiffon blouse. Grab your favourite bracelet or necklace and you’re ready to hit the bar. Jersey fabric is simply the best for holidays. Crease resistant, you won’t be worrying about the ironing every five minutes. They’re flattering to every body shape and available at pocket friendly prices in every colour you can imagine. They are the perfect way to inject bold colours to your summer holiday look without breaking the bank. Jersey T-shirts also work well layered so, if the temperature drops, layer them up for a new look. Take plenty along on your holiday and you can’t go far wrong. The Maxi dress is one of the summer’s most versatile pieces. For a casual look when sightseeing or shopping, pair it with plimsolls or flip flops and throw on a loose linen blouse or denim jacket for cover up. For the evening transform it with colourful jewellery, sparkly sandals and turn up the volume on your make-up. It’s a great, comfortable look for meals out under the stars. This wonder of fashion is also perfectly at home as an easy cover up at the beach. Nothing says summer holiday quite as much as linen. It can be a bit of a pain when it comes to creasing but you can counter this by choosing a linen mix fabric. Linen will keep you cool when the temperature soars as well as help keep out those nasty burning rays. A simple white linen blouse is a classic that will serve you for plenty of summer holidays to come. Wear it done up loosely over shorts or cropped trousers or wear it open as an extra layer over a bright jersey T-shirt. Either way it’s ideal for day time wear. Throw a linen blouse on over your swimming costume to protect your skin at the beach without feeling too hot. What about tying it up bolero-style for a different look for evenings too? No summer holiday wardrobe is complete without some swimwear. This year tankinis are very popular. They offer a great compromise between bikini and swimming costume. You can enjoy the flexibility of a bikini without having to reveal too much. There are lots to choose from and, as it’s a two piece, you can quite often mix and match bottoms and tops to create new looks in an instant.